Think being a youth is all about fun and games and all things nice? Nope. Not all youths are as apathetic or clueless as you think! 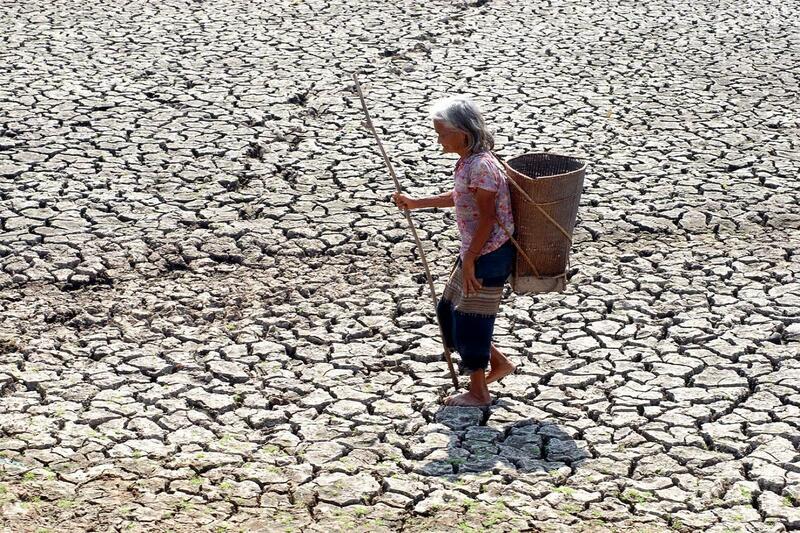 Here, ASEAN youths call upon governments to intensify climate change efforts and awareness. Wind + gorgeous hair = perfection. Nuff’ said. An expedition to Antarctica opened Candy’s eyes to the beautiful icebergs — which are melting at faster rates than their natural cycles. To the Hong Kong citizen, youth leaders are powerful sources capable of generating energy in their communities. She’s been in Japan working on a documentary regarding green building, and is now in Singapore in the ASEAN Power Shift’s Communications and Marketing department. Her passion sure brought her places — how about yours? Gone anywhere, done anything yet? Yeah… Kinda hard to see you as a vocal person with that shy smile. 1,000 charm points added for speaking up when you have to — yay! Pursuing a degree in energy and environment at the Singapore University of Technology and Design (SUTD), Chia Wu is keen to raise awareness on climate change among youths in Singapore. Climate change is an urgent matter that he takes personally — he became a vegetarian for the cause. He’s also part of the school’s green club and actively encourages people to take part in recycling. As a role model, he separates his own trash in the hostel too! Brainy girls are the only way to go, ya? An undergraduate at the Wee Kim Wee School of Communication and Information in NTU, Cui Min’s interest lies in ‘green public relations’ — doing communications in the environmental scene, that is. She believes that her environmental studies track complements the up-and-coming trend of corporate social responsibility. We see the stamp of approval from her future in-laws. The Edward Cullen look-alike. Haha, no worries, he’s not after your blood. You might have to turn vegan for him, though. From Ireland and born to a Malaysian father, Colm has a deep connection with nature. He feels that it is a moral obligation for him to take action against climate change. Having ditched car rides for cycling, he even brought his two-wheeler here to hit the roads; our park connectors have got him really impressed. While acknowledging that there are many communities out there, he sheepishly conceded that he’s slightly worried about not finding a vegan girlfriend. His plant-based diet is definitely something that requires determination in Ireland’s large meat industry; would you do the same to be his Bella Swan? That last glance tells you nothing about her adoration for bigger cats. Read: Lions. An undergraduate at the National University of Singapore (NUS), Chloe loves the outdoors and travelling. Having witnessed nature changes such as floods in Europe, she became curious about what we can do for environmental conservation. Her friends often raise their eyebrows and pass remarks like ‘Whoa, you like what? Green girl is it?’ She finds that while the Government has a lot of initiatives, it’s ultimately up to the people to take up good practices and to be self-motivated. Brave girl? Check. Heart of gold? Check. Adventure-seeker? Check. Perhaps you’d like to sign up for the next conference to catch her glance. 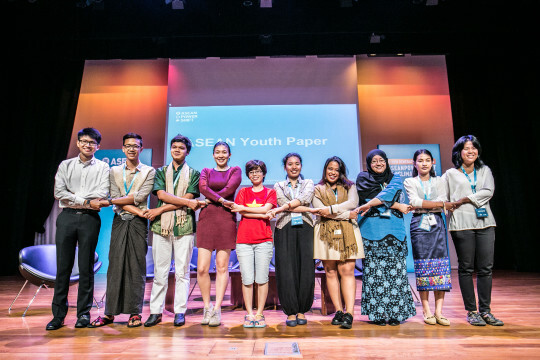 We found these hot youths at the recent ASEAN Power Shift event where youths from ASEAN came together to learn more about climate change and to work on the final paper to call upon governments to intensify climate change efforts and awareness. The three-day conference that took place in Singapore from the 24th to 26th July 2015 was spearheaded by Team Young NTUC 350 Singapore — one of Young NTUC’s affinity group. Going beyond the realm of work, Young NTUC’s holistic approach to develop our youths has resulted in young activists rising to the occasion to realise their aspirations and influence other youths to do the same. It really is about being active and proactive in stepping up to do something for a cause. Our lives will be more fulfilled helping others, supporting communities and stepping up for something we stand for. Advocacy and activism can make a whole lot of difference to the world out there, if there are enough of us. All we need are the qualities shared by these five environmental activists: to take responsibility, to be vocal, to educate others, to be the change you want to see. And most importantly — to take the first step. It is perhaps timely to ask Mr Desmond Choo, the man helming Young NTUC, for his personal views on climate change and also the role Young NTUC plays in empowering youths to step up and do more. Desmond’s really passionate about encouraging young Singaporeans to step up for causes they believe in. YES to youth activism! When it comes to protecting the environment, Desmond takes the view that we should be very natural about doing it. He quotes the example of not wasting ‘ghost energy’ — unplugging when we can, switching lights off where possible — all these small actions are natural and can fit easily into our lifestyle. He’s a big believer that every small step counts. Every small step is cumulative. “As young workers and young Singaporeans, if we do not dare to dream, or we’re too pedestrian in the way we address climate issues, we only have ourselves to blame. Because at the end of the day, as younger people, we’re the only ones who will inherit the future. So tell us: what makes your heart race? Or perhaps we could even ask, what makes your blood boil? What would you step up and fight for? We’d recommend starting nearer to home and closer to ground. If fighting for the environment and saving Mother Earth is too ‘far and away’ for you, how about making a difference at your workplace through union activism?